Photo Courtesy of Philip Treacy/Kevin Davies. 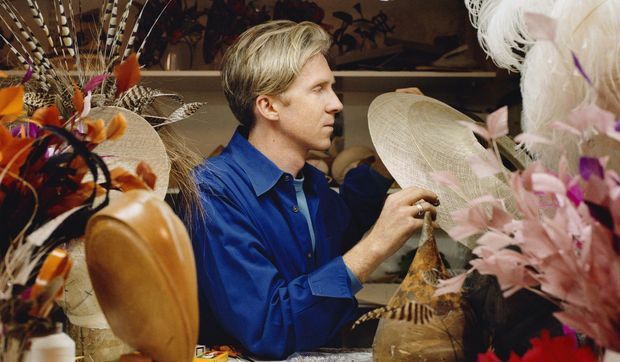 Philip Treacy was born in County Galway in the West of Ireland, and grew up with his parents and seven brothers and sisters across the street from a small church. As a young child, he was inspired by churchgoers in their Sunday best, and began making clothes and hats for his sisters’ dolls. 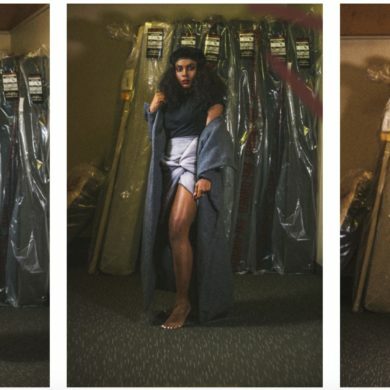 As a teenager he moved to Dublin to study fashion at the National College of Art & Design, where he made hats to compliment the clothes he designed in his classes. When he had to arrange for an apprenticeship, he chose to spend six weeks with the London hat designer Stephen Jones. He then went on to the Royal College of Art in London, where he pioneered their millinery program. During his time in London, he met Isabella Blow, who took an immediate liking to Treacy and his hats. They shared an affinity for the eccentric, and she asked him to design a hat for her wedding, in keeping with the medieval theme of her dress. After graduating from the Royal College, he set up a workshop in Blow’s basement, creating hats for London’s fashionable set. Shortly thereafter, he was summoned to Paris to meet Karl Lagerfeld, who commissioned Treacy to design hats for Chanel. The first hat he created for the house was the twisted birdcage, worn by Linda Evangelista and photographed by Patrick Demarchelier for the cover of British Vogue. He also won his first British Fashion Council award for Accessory Design that same year – an award which he would go on to win four more times. 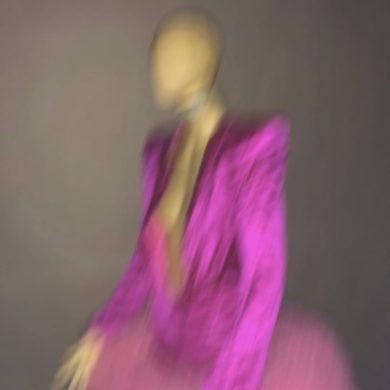 He has collaborated with many of the top couture and ready-to-wear fashion houses including Giorgio Armani, Valentino, Alexander McQueen, Givenchy, Prabal Gurung, Gareth Pugh, Ralph Lauren, and Rifat Ozbek. In 2007, he was recognized by Her Majesty the Queen of England for his services to the British fashion industry and appointed as an honorary Officer of the Most Excellent Order of the British Empire (OBE). He also designed 36 hats for the Royal Wedding of the Duke and Duchess of Cambridge in 2011, and has even designed hats for Gladys Perint Palmer, Executive Director of the School of Fashion, and her mother.